The “engaging” (New Yorker) men’s vocal ensemble Cantus is widely known for its trademark warmth and blend, innovative programming and engaging performances of music ranging from the Renaissance to the 21st century. 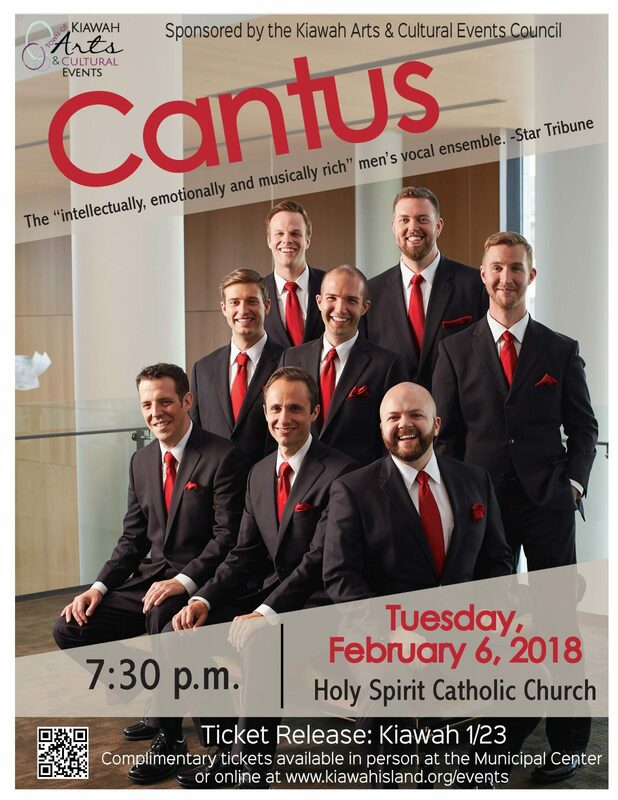 The Washington Post has hailed the Cantus sound as having both “exalting finesse” and “expressive power”, and refers to the “spontaneous grace” of its music making. Cantus brings their world-renowned sound to Kiawah Island for audiences to enjoy. In their 2017-18 touring program Discovery of Sight, Cantus explores the essence of light and vision, reveling in the mystery, science, and poetry of what it means to truly “see” with music by Richard Strauss, Franz Schubert, Eric Whitacre, and Einojuhani Rautavaara alongside a world premiere by Gabriel Kahane. Cantus debuts Discovery of Sight on tour in Asia and will present it in 25 cities nationwide throughout 2017-18, including stops in Las Vegas, Philadelphia, Nashville, Denver, and throughout Minneapolis and St. Paul.